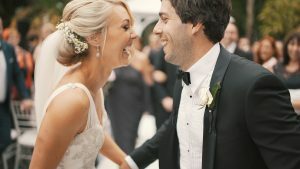 We promise you will travel like royalty on your big day. Contact us on 01225 220789 to discuss our wedding car hire packages from just £150. So you’re planning for the biggest day of your life and you want to arrive at the church in ultimate style. 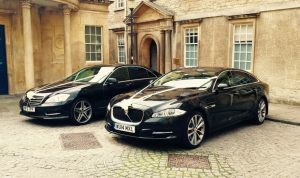 As one of Bath and Bristol’s premier wedding car providers we offer a diverse choice of luxury transport perfect for the bride, groom, bridesmaids, flower girls and indeed the whole family. 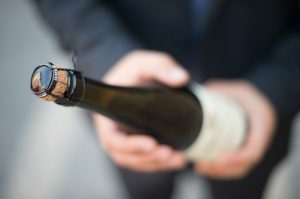 With our experience and dedication we will exceed your expectations and make your journey blissful. You can choose from our exquisite range of modern cars driven by friendly, charcoal suited, highly trained chauffeurs who will transport you to your venue on time and safely. Our fleet includes latest models from Mercedes and Jaguar each handpicked for their style, elegance and comfort. We also have a Mercedes Viano for larger groups up to 7. Our Bath & Bristol wedding car hire packages start from just £150 including ribbons and bows in a colour of your choice. Nothing is to much trouble. So if for example you’d like to celebrate with a bottle of champagne on the way from the church to the reception just let us know and we’ll provide a personalised package. We cater for all types of weddings in and around the Bath area from traditional church weddings, registry office ceremony’s and civil ceremony’s at a location of your choice.